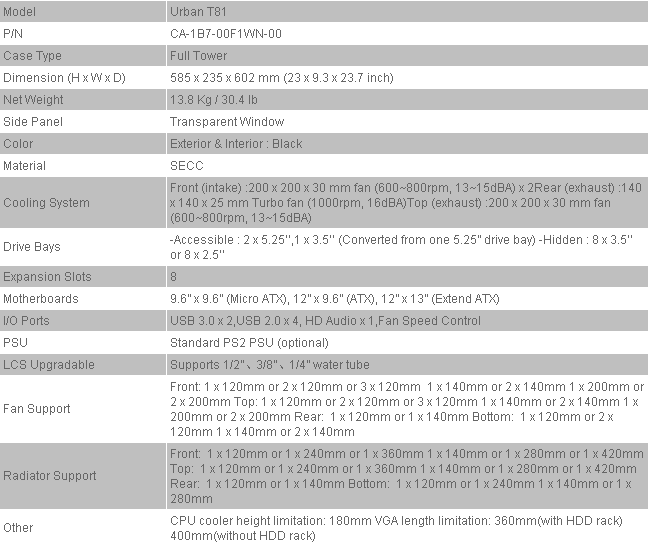 Thermaltake has been a leader in the enthusiast market since its inception in 1999. The Chinese company has been bringing out countless products year after year aimed at everything from casual gamers to extreme enthusiasts. Today we are looking at the Urban T81, a case aimed to appeal more to the high end enthusiast market. The flagship T81 is Thermaltake’s newest addition to the Urban line of cases that are geared towards a more streamlined professional look that can be used at home or at the office. 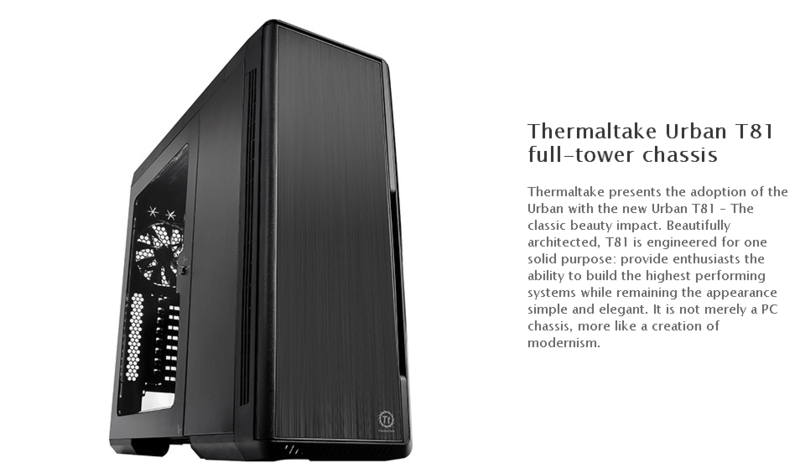 Thermaltake’s motto for the Urban T81 is “Simple, Yet Elegant”. I believe those words hold true, but the real test that determines whether this case is worth the price tag is the features, modularity, and build quality. In this review I want to focus on the Urban T81’s water-cooling options rather than the standard air cooling. I will describe my experience installing a full custom loop on the monster-sized Urban T81, along with the review of the standalone chassis. 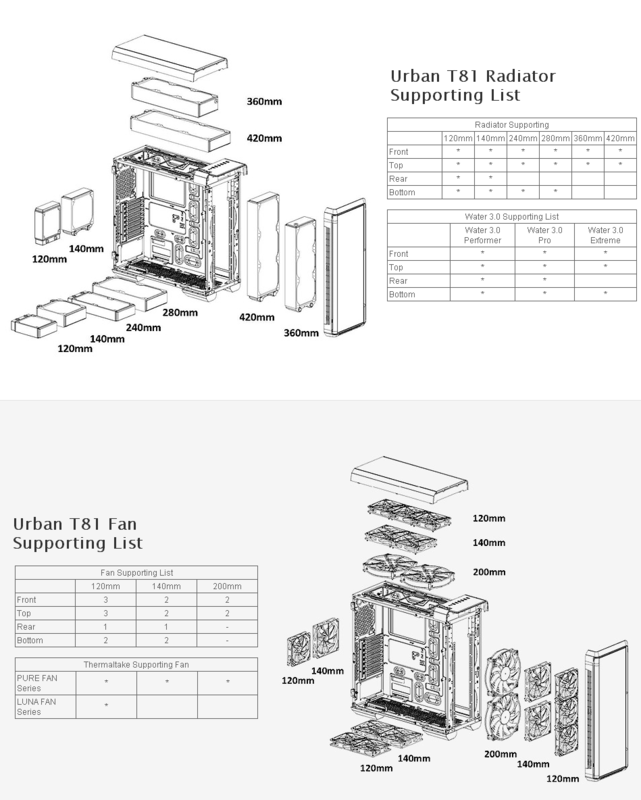 Looking at Thermaltake’s marketing strategy for the Urban T81, it is clear the case is being heavily aimed at water-cooling enthusiasts and so I believe it is fair to give the Urban T81 a review in that aspect.